I have been meaning to write this post forever and it's finally here! If you know me in real life you might know that I have a thing for strollers, I am that mom that keeps her kids in strollers all the time. Errands, doctors appointments, the zoo, etc. It doesn't matter what it is, it makes my life easier and keeps me in a better mood if everyone is strapped in. Today I've rounded up my three favorite double strollers and why I love them/what I use them for. When I found out I was pregnant with Matthew, Miller was only 7 months old, so I knew that I would need a double stroller that could accommodate an infant and young toddler comfortably but could also fit easily through doorways and in the back of my car. I had heard so many good things about the Baby Jogger City Select (I could kick myself for not just getting it when Miller was an infant) that it was one of the first ones I started researching. After talking to friends, trying out my sister in laws and reading hundreds of Amazon reviews I was sold. I have to say that 19 months later I still really love this stroller. It's not light by any means, most doubles aren't, but its easy to take out for errands, to the mall, into a restaurant and the doctors office. I highly suggest this if you have two close together (or twins) because the seating options really are a game changer and give you so much flexibility. I knew without a doubt that I would want a Bob Dualie when I had two kids. 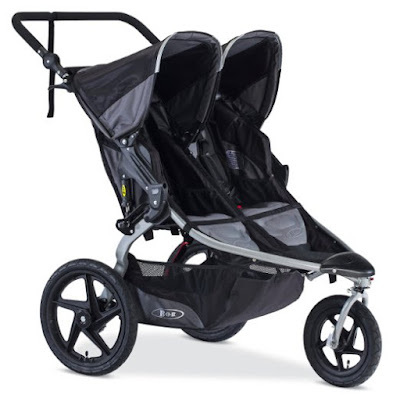 Whether or not you run this is an awesome stroller! I had the single Bob Revolution with Miller so I knew this one would be as good. I have only run with my kids in this two maybe three times but we use it almost everyday to take our dog for a walk. This is also our stroller of choice for the zoo or park. We usually take this one to walk around Annapolis, Baltimore, or DC. It practically walks itself so you really don't have to work to hard even when you're pushing over 50lbs of kid. The best part about Bob strollers is that they keep their value and do really well on the re-sale market. I got mine off Craigslist with a parent console, kids console, and rain cover for $400! They do go really fast, at least in my area, so I had to stalk Craigslist and local consignment stores pretty much daily until I found one in good condition, it's been well worth it though. The only downside to the double Bob is that is big, really big. It's pretty much impossible to fit into any stores or the mall. It barely fits through a standard door opening and it takes up about 75% of the space in my Toyota Highlander trunk. So I wouldn't say it's a good everyday double stroller but if you're looking for something to be active with your kids I would suggest this one. We just purchased this stroller in January of this year for our trips to Cancun and Rosemary Beach. Knowing my kids and how well they do in strollers I knew that I had to find a more affordable lightweight umbrella stroller for the airport and travel. I also didn't want the hassle of lugging around one of our bigger strollers once we were at our destination either. It easily fits through a standard door and kept both my wiggly kids strapped in nicely. It's still over $100 but was worth the price for peace of mind in the airport. Each seat can hold up to 45lbs so I know that I will be able to get a decent amount of use out of this stroller since Miller hasn't even broken the 30lb mark yet. The only downside is that since it's an umbrella stroller I don't think it would hold up to the wear and tear of an everyday stroller. This stroller was a big contender against the Baby Jogger City Select but it didn't have a car seat adapter for our Chicco keyfit 30 so I decided against it. Now that my kids are older though I would love to have one but at this point I don't think it's worth it to purchase another double stroller. I think if you're waiting to get a double until your infant can sit on their own then I would suggest this one. I think in the long run for an older toddler and infant this one is a great choice. So there you have it! Feel free to comment or email me if you have any questions. Do you have a double stroller? Do you love yours? What brand do you use? I'm so glad you posted this because I've been looking at the City Select! Abbie isn't really good in the stroller typically, but I love the idea of the glider board that attaches to that and she might ride that with the new baby.... and the basket on that is WAY bigger than my Britax. I so regret not getting the City Select and the Bob. So many of my friends had both and loved them! I have the double BOB that I bought from a friend. It's great for strolls in the neighborhood. 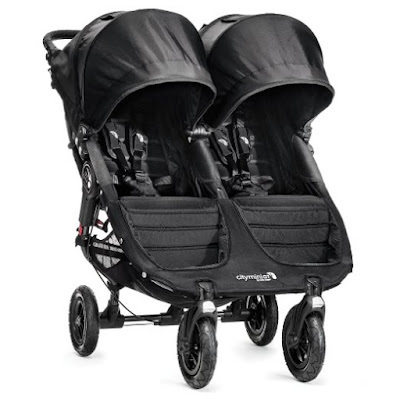 I also have the Baby jogger city select that we registered for- LOVE this stroller for my twin boys. So easy to navigate with two car seats for shopping and doctors visits. I'll have to keep the umbrella one you talked about in mind if we ever need one. i LOVE the city select!!! 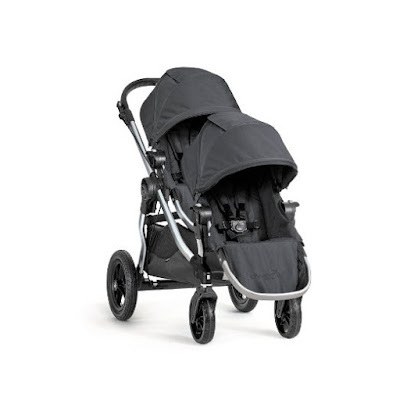 As a nanny I've used so many strollers and my favorite for nanny shares has always been the baby jogger city select. It's not the easiest to turn but it's so perfect for two kids! I've never liked the side by side strollers because of the tight spaces we have to go through-doorways alone would be a hassle! Thanks for sharing! Currently looking for a single jogger that would fit our Chicco KeyFit car seat for our baby coming soon! Crazy, I thought I wouldn't have a hard time choosing but I am! Ha! Bestdoublestroller.online is a website designed to help you find the best double strollers for your little ones. 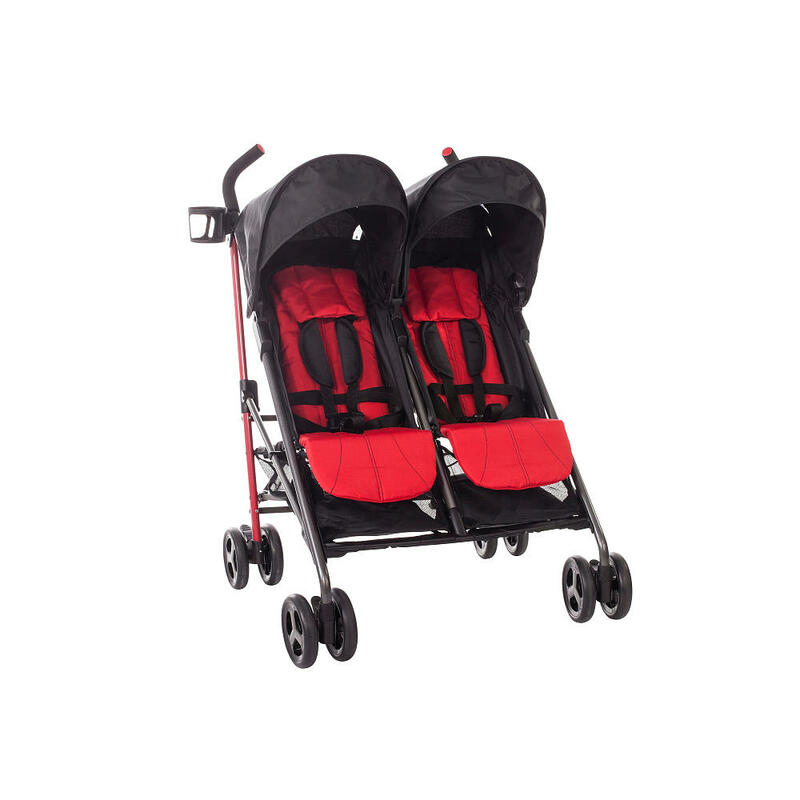 We have researched each and every double stroller on the market and only added the best quality ones to our site. I bought a double stroller three year ago, and I am impressed with its quality because it is still been used extensively by my friends and neighbours, and nothing has went wrong with it so far. I always recommend my friends to read reviews before buying, as I did, because it helps making a right choice. baby strollers review When you first buy a stroller, hope to ensure that you can adjust to an auto seat or transporter, it's justified regardless of the additional cash for one of these sorts. A baby stroller can keep your baby safe, offer a comfortable seat to take naps or play with toys. Generally, baby strollers come in different sizes, styles, variations and features.Best Strollers 2018 I have A stroller and a car seat for my baby. I just so pleased to see you posted this because I've been looking at the City Select! Thank you for sharing your pregnant time experience with us. I have a blog on baby moitor for twins you may like. Here we write all blog about the stroller.